Already since 2004 Scuba Libre Bali run its dive center and diving school at Bali. We are well known everywhere on the island with a good reputation. Owner of the dive center is Herbies wife Debora Noveria Saragih. Operator is Herbert 'Herbie' Goller, PADI instructor since 1997 and IDIC *** instructor trainer. He was born in Germany's south (Bavaria). Herbie speaks fluent Bavarian English, Indonesian and High German as well. 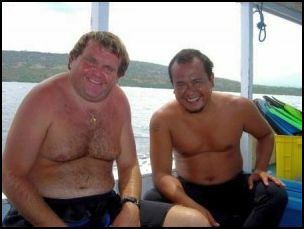 He has certified more than 801 students and works as dive guide since 1997 in Bali and Lombok. A real expert for makro marine life is Komang Lara, an IDIC * instructor. Komang was born in Pemuteran in West Bali where he still lives. Important: Locally payments can be done cash in Euro, US Dollar and Rupiah as well as with Visacard and Mastercard. If you like to pay with credit card, unfortunately we have to add 3% bank fee. Please use preferentially WhatsApp or Email to contact us because we are often somewhere in Bali, on the road or we are underwater. In that time our office is unstaffed. WhatsApp: +6285237684110. Our rental equipment consists of Aqua Lung regulators, all with alternate air source, pressure gauge and depth gauge. 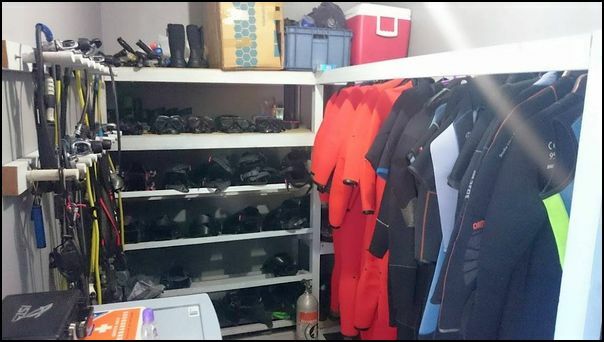 Sea Quest Wave Jackets do we use as BCD. Aqua Lung is manufacturer of the basic equipment (fins, snorkel, mask). One ColtriSub compressor and one Bauer compressor deliver clean air for our 12 and 15 liters aluminium tanks with INT and partly DIN connectors. All of the equipment is always well-maintained! Due to the fact that we are mainly handle german speaking divers our reviews are mostly written in German. At taucher.net our average is five of five stars in more than 150 reviews.